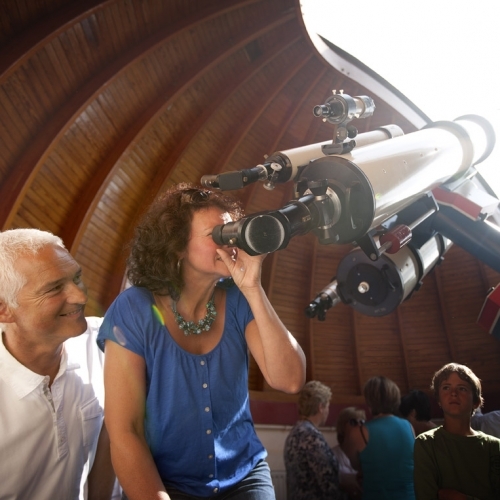 Youngsters have a special place at the Public Observatory Beisbroek: you can participate in the normal shows and visits, but next to that also special activities are organised around astronomical and space technology topics. The ideal way to discover everything is to become a member of the youth working group: JVS Vigilia! This group of young amateur astronomers comes together to work on different astronomical projects. You will learn astronomy in an active way. The best methods to observe the sky are exchanged and you can learn to work with a telescope or build a model rocket. During the summer an astronomical camp is also organised together with a cool group of friends, sharing the same interests. A nice combination of sports, games and astronomy is offered. The JVS Vigilia working group meets on Friday evenings in the observatory. When skies are clear astronomical observations are done with the available telescopes in the observatory.